As I was perusing through my social media sites this morning, I noticed a post by the amazing poet, Sojourning Smith, talking about how NaPoWriMo (National Poetry Writing Month) begins, as always, on April 1st. I keep meaning to post more here on my blog, and by extension (or should I say, by plugin 😂), the Steem blockchain, but I keep getting distracted by other social media (yeah, I'm looking at you, Twitter). Back in 2014, I decided to take part in NaBloPoMo (an offshoot of NaNoWriMo, which is the reason I have about a half dozen manuscripts gathering dust on my hard drive), and it helped me kickstart my WordPress blogging again. Something about being accountable, even just to myself, kept me focused and posting, even after the month ended. And thus, the idea for Steem Blog Posting Month was formed! It wasn't too difficult to come up with the acronym, SteemBloPoMo, after that. And really, that's all this is - a hash tag and a goal of writing new content for my blog & cryptoblog every day in April. 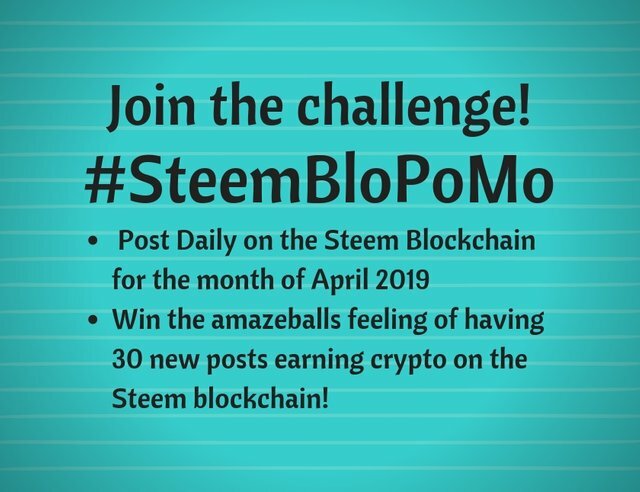 If you decide to join me in this challenge, be sure to drop the hash tag #SteemBloPoMo somewhere in your post, and I'll try to stop by with words of encouragement and/or a shout out on Twitter. And just to be clear, there's no prize for participating, other than the WICKED AWESOMESAUCE feeling of knowing you have new posts earning crypto on the Steem blockchain. Oh, and while I'm planning to do straight up blog posts (which will auto post to Steem thanks to the aforementioned SteemPress plugin), feel free to do the Instagram/Twitter/YouTube-to-Steem thing with @share2steem, or activity report cards with the @actifit app, or any of the other amazing DApps (short for, Decentralized Applications) available these days. I'm actually planning to start doing those more often as well, but I don't want to confuse my brain any more than it already is by adding additions to the one post per day thing. Before I go, if you're already on Steem & Twitter, and you've somehow missed @nathanmars and his efforts with the #actifit #seven77 pushup challenge (essentially making the Twitterverse aware of the Steem blockchain through a simple & creative fitness activity), be sure to check out his latest posts, starting with this one - In 3 days, STEEM Twitter Hustle will be Simplified with Draft SEVEN77 Paper. I have no doubt that someday soon, I'll be at our local grocery store, and at the checkout the cashier will ask me, "Will that be cash, credit, or crypto?" And if you're not on Steem, but you're interesting in finding out what all the fuss is about, feel free to shout out, either in the comment section or through one of my bazillion social media accounts. I'll definitely be chatting more about it in upcoming blog posts as the month goes on. Steem to the moon, baby! Hey there @traciyork! Great idea you've got here, but I won't kid either of us and say I'm going to do it haha I love love love the idea though, and I used to get my students involved writing poetry or collecting poems daily during this month. So cool! I am with you LOL And I don't see how you can work full time and still do that many posts - including editing videos!! Great idea! Not sure I can blog everyday.. but will pass on he challenge to others..
Great to encourage steemians to post every day Lady Traci. We don't have Twitter or any of the other things and I only manage the Papillon page on Facebook. Of course I also have a personal Facebook page. Would you believe me if I told you, I said the same thing but I was afraid to make a declaration because somehow I sabotage myself. Bloggers blog, have fun! Sorry cannot make any promises, still a bit too busy to settle into a daily routine. Wow you are going to professional level. Great idea. Let's see if I can do this! 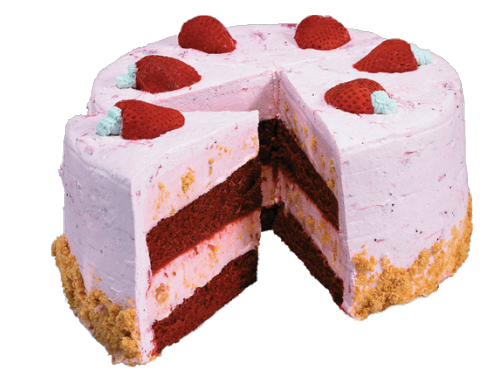 🎁 Hi @traciyork! You have received 0.1 STEEM tip from @dswigle! Keep that thinking hat on this is a great idea. You can find the community announcement on Discord :) and it has also been shared on our FB Page and Twitter feed. Great idea @traciyork !! Let's see if I can keep at it.